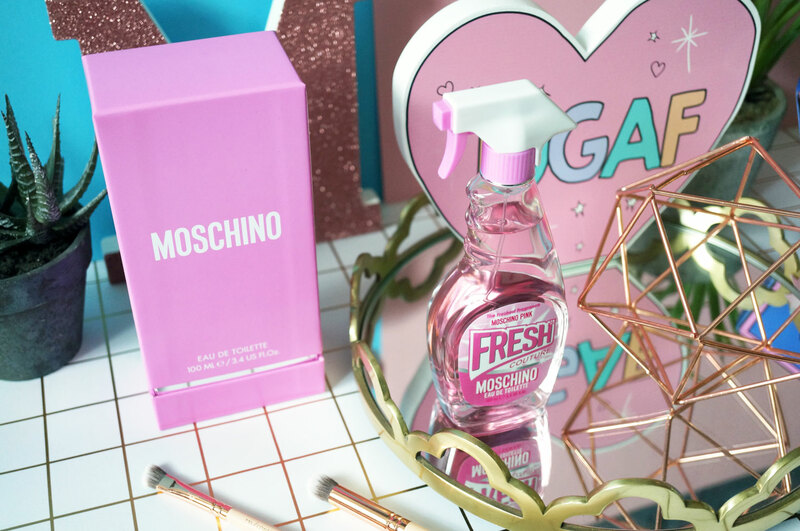 You may remember about a year and a half ago when Moschino launched their original Fresh Couture fragrance – now they’ve just released their follow up scent, Pink Fresh Couture. So firstly let’s talk about the packaging. 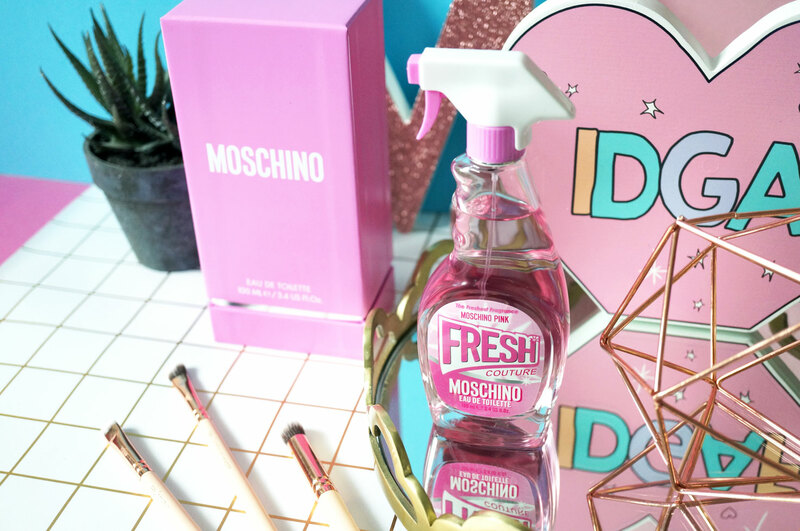 I absolutely love the design of the cleaning bottle, it’s kitschy, fun and unusual, and fits in perfectly with Moschino’s branding and aesthetic. The bright cool barbie pink colour also appeals to me, this is literally my favourite shade of pink, and I just love how in your face and unapologetic it is. The only thing I will say about the bottle is it’s a shame that the perfume doesn’t spray from the pink and white nozzle – you actually have to remove the whole top to reveal a standard perfume spray button underneath – I’m not complaining though as I still absolutely love the bottle! And now on to the fragrance – I was initially concerned that this might be a bit too floral and girly for me, but luckily I was wrong. Pink Fresh Couture is a fruity, bright and crystalline scent, it hits you with an instant zesty freshness, later drying down to a lingering, feminine aroma. It’s a modern scent, that’s fresh and captivating, easy to wear both day and night. Pink Fresh Couture opens with fresh and sparkling notes of fresh Pink Grapefruit, accents of Cassis and luminous Lily of the Valley, giving a juicy and almost tart sharpness at the top. This leads to a floral accord of refined Wild Rose and Pink Jacinth with juicy Pomegranate at the heart. The base is still fresh, yet warm and sensual, with notes of Cedarwood, Ambrox and Musk. Top Notes: Pink Grapefruit, Cassis and Lily of the Valley. Heart Notes: Pomegranate, Pink Jacinth and Wild Rose. Base Notes: Cedarwood, Ambrox and Musk. I should mention there’s also a Pink Fresh Couture bath and body line too, including a shower gel and body lotion which promise to leave the skin hydrated and delicately perfumed with the Fresh Pink Couture scent – these are now on my wish list! 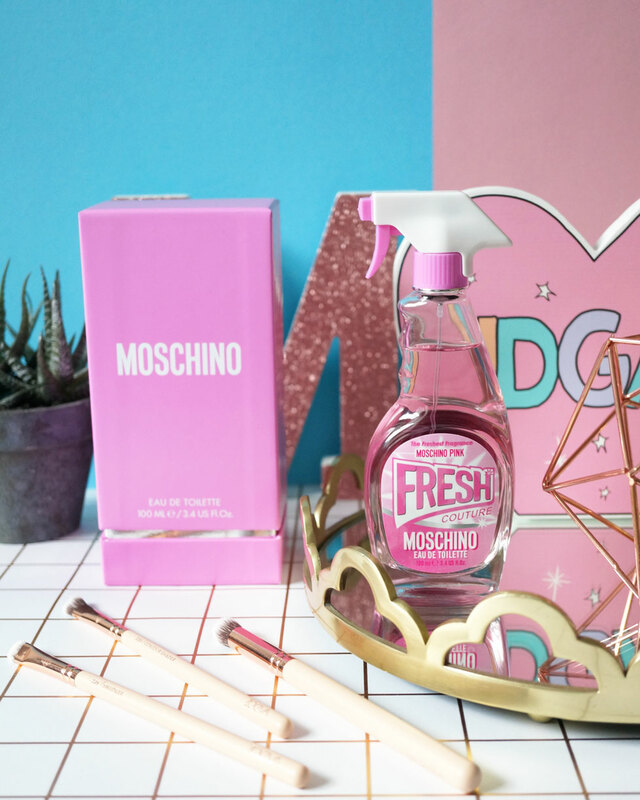 Moschino Pink Fresh Couture EDP is priced from a very reasonable £35.00 for 30ml, available now at Debenhams, Superdrug and FeelUnique. Previous Post Beauty: What’s New At Estee Lauder?